A review on our Walk this Way Tenerife guidebook questioned our claim that Tenerife was still not known as a walking destination. When we initially wrote the book, despite there being plenty of other walking guidebooks on the market as the reviewer pointed out, we firmly believed the island didn’t have the reputation for walking it deserved. Why did we think this? There are still a lot of people who think Tenerife is just one big resort. We’re members of travel writing guilds which include the UK’s main travel writers. We know exactly what perceptions there are regarding Tenerife in the travel writing industry and how those perceptions have coloured travel articles about the island. We’ve had battles with travel editors who simply couldn’t see a Tenerife which existed beyond the mass tourism image. 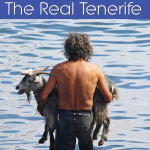 For over a decade we’ve been writing about the ‘real’ Tenerife to counter this. 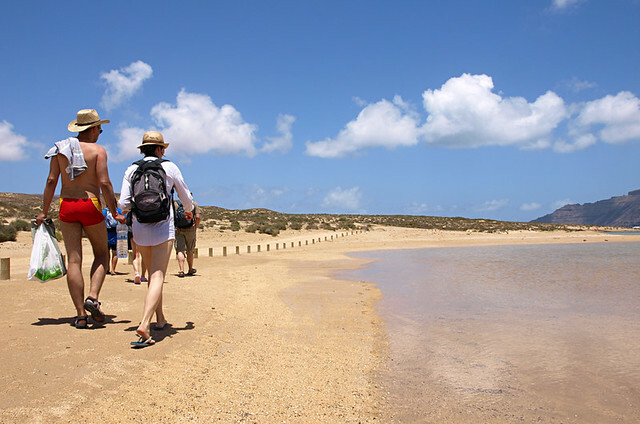 We’ve also walked across and helped create walking/discovery holidays on the other Canary Islands for a Slow Travel company we consider to be the best in the UK, so we’re in a position where we can compare and contrast based on extensive first hand experience. Members of the British Guild of Travel Writers discovering walking on Tenerife a couple of years ago. 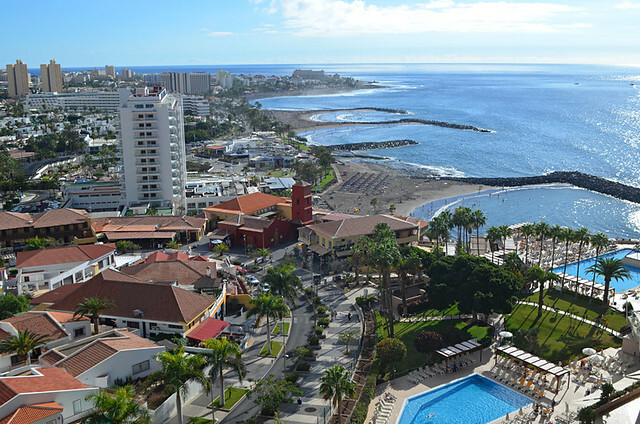 Without question, in the last decade Tenerife’s reputation as a destination which offers more than sun, sand and sea holidays has improved. 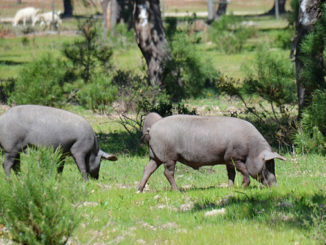 There’s even an annual Walking Festival now. But I still maintain Tenerife isn’t as well known as a top walking destination as it should be. In these technically advanced days it’s very easy to illustrate why this is more than just a personal opinion. An expat resident on another Canary Island recently commented that a photo of a forest couldn’t have been Tenerife. A quick Google search about the best Canary Island for walking reveals some interesting results from some well known sources. These are from the first two pages which came up. Rough Guides quite rightly noted Tenerife was a good destination for a little bit of everything. But it was La Gomera which had the best for world-class hiking tag. La Gomera is deserving of the world-class hiking description, but so is Tenerife and a couple of the other Canary Islands. 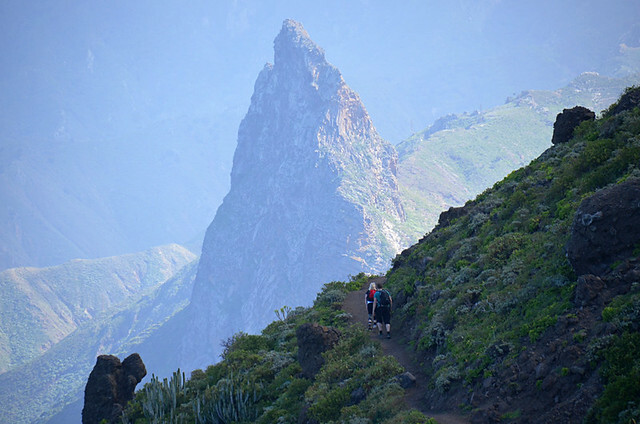 Walking on La Gomera is wonderful and as a result it’s very popular with hikers. This was out of hiking season, in summer, when paths were generally hiker free. 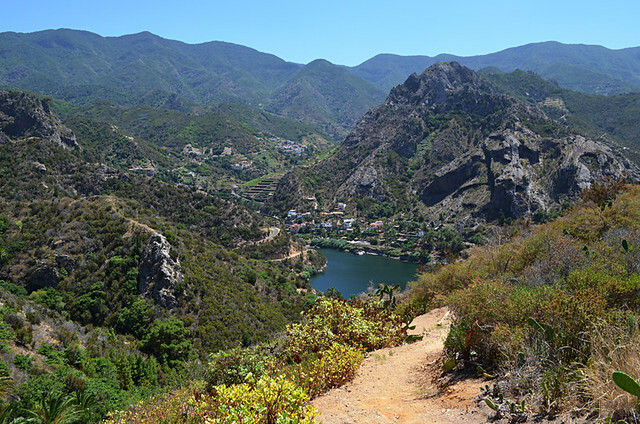 Next came a query on Tripadvisor’s forum which was about the best Canary Island for walking and scenery. The first piece of advise suggested Gran Canaria. This was from someone who clearly thought the Canary Islands consisted solely of Gran Canaria and Lanzarote (the other island they recommended). 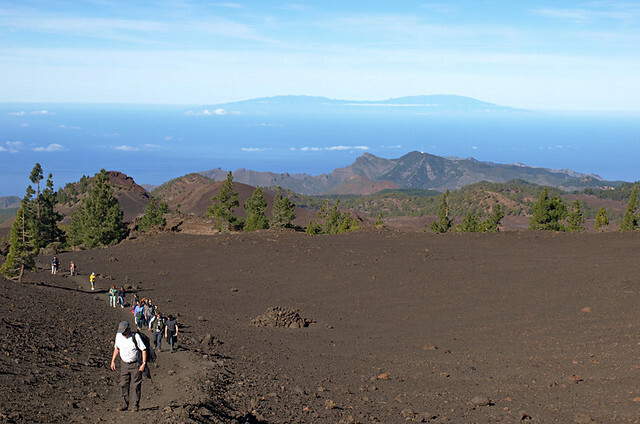 Other respondents suggested La Palma (good advice) and one person, not a hiker, recommended taking a tour to Mount Teide to walk near the summit. 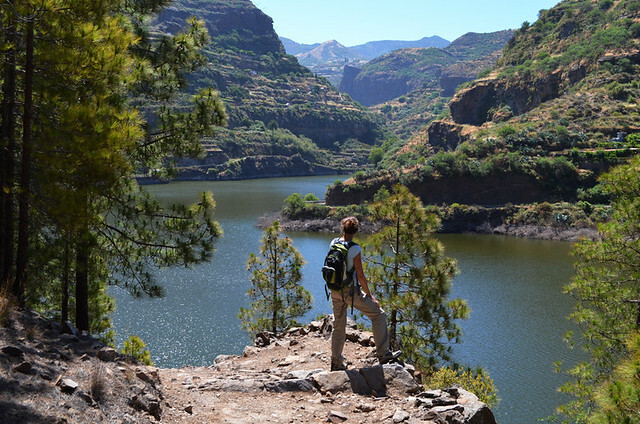 Hiking on Gran Canaria is also excellent. A Lonely Planet article picked out what the authors believed to be best hiking routes on each island, and completely overlooked what’s generally regarded as the best area for walking on Tenerife, choosing the two most popular spots instead of the best. Surreal walking in Teide National Park. Even though they’re walking specialists, Ramblers Walking Holidays didn’t mention Tenerife at all on the page about the Canaries which came up for them. Not only did they not mention Tenerife, the first island they did mention was Lanzarote, the weakest Canary Island for walking in our view. Honestly, this was a hiking route on La Graciosa, Lanzarote. Other routes on the bigger island do require more conventional hiking gear. 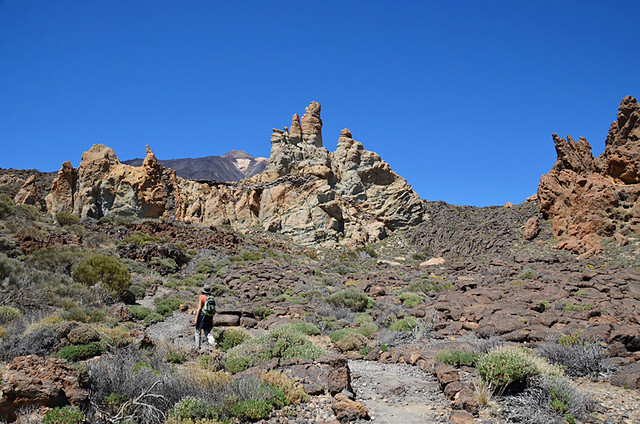 Pure Travel made reference to walking in Teide National park, classing the island as great for all round travel but specifically picked out Gran Canaria, La Palma and La Gomera as the Canary Islands’ main hiking destinations. 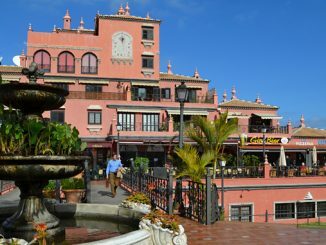 Holiday Extras classed Tenerife as being the best Canary Island for family holidays, picking La Palma as best for hiking. 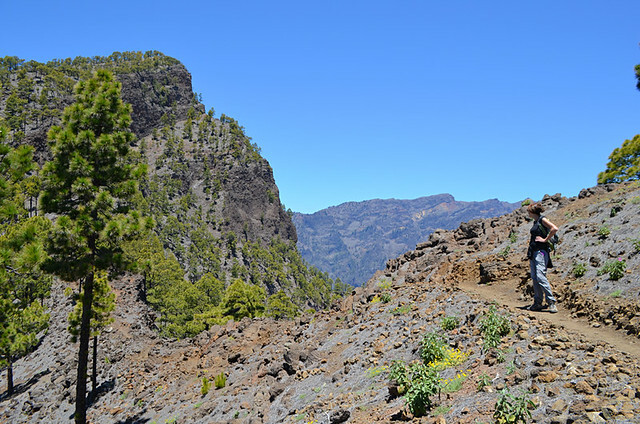 La Palma, another Canary Island which is a world-class hiking destination. Walkopedia also referenced La Palma. A Holiday Hypermarket blog about the best Canary Islands for family walks chose Lanzarote, La Palma and La Gomera for which, I was surprised to see as nobody had asked permission, they also used a photo of mine. There were other entries on the first two pages of the Google search which I haven’t mentioned. Some because they simply weren’t relevant and half a dozen from a variety of websites because they’d been written by one of us. Those were the ones which mentioned how exceptionally good Tenerife was as a walking destination. Anaga, our favourite area for hiking on Tenerife… and not mentioned in any of the articles/pages referenced above. Obviously there are people out there who do know just how good Tenerife is as a walking destination, it offers the most diversity of all the islands in our opinion. But I stand by my guns that in the wider world of mainstream travel, it still does not have the reputation it deserves. Sometimes that’s not such a bad thing though. It means there are still lots of excellent walking routes on Tenerife where you’ll hardly meet another person. Great site by the way, will definelty be planning a different trip to tenerife next time. Wheres the third picture down taken? Looks a great spot. Thanks Adam. The main road up from the south is a really nice drive in itself, through the pine forest and passing Vilaflor which is a nice town. There’s a big picnic site between Vilaflor and Teide National Park. And there are plenty of flat paths in the crater itself. Roques de Garcia is popular with coaches, but most folk stick to the viewpoint. There’s a flat path around the rocks, wheelchair accessible so should be suitable for a 5yr old, which is worth exploring as far as you want. There’s only one road through the park and plenty of places to stop. The third picture is the upper La Orotava Valley in the north. 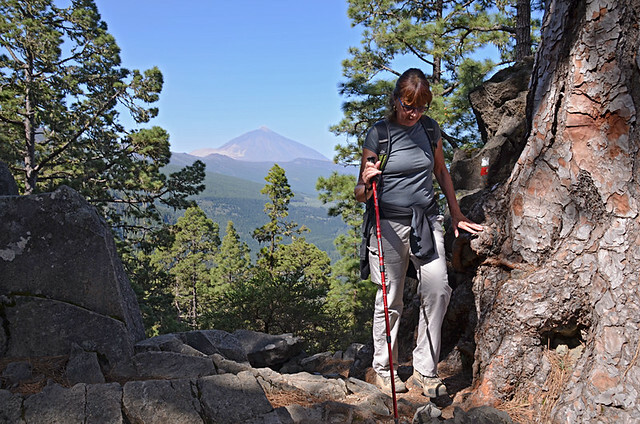 It IS a lovely spot, but it’s a bit of a trek to get to that point 🙂 There is a flat path at La Caldera there though which has super views over the forest to Teide. Thanks for that. We will have a drive up and see where we end up. 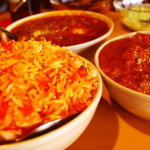 Will be good to break up the holiday with something different. Sounds a great drive too. I think we will have to visit the north in the near future. Must confess, until i stumbled across your site i had no idea the island had so much beauty. Thank you Jack; I had not come across your site Walking Tenerife before. I agree it’s not bad either!